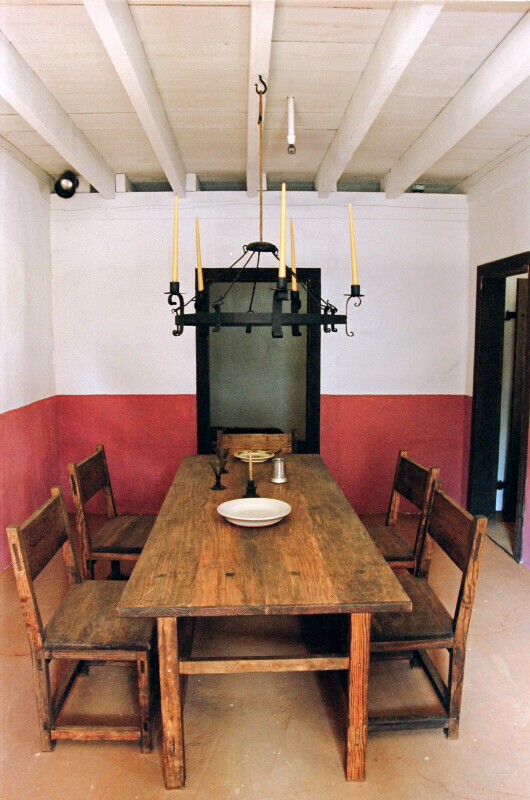 A view inside of the convento dining room. The room is bisected by a horizontal band of red; a large wooden dining table predominates the room. A candle chandelier hangs above the table.